For spraying water base paints, stains and coatings. Never Spray Elastomeric Coating, Roof Coat, Driveway Sealer, Block Filler, Oil Base Stains or Paints through this unit. It is for Latex Paint and Water Base Sealers Only. 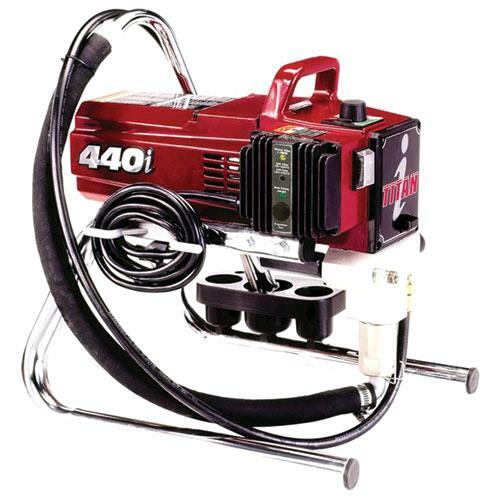 * Please call us for any questions on our airless paint sprayer electric rentals in San Jose, Campbell, Salinas, Santa Cruz, Watsonville, Morgan Hill, Hollister, Santa Clara, Gilroy, Milpitas Sunnyvale, Fremont, Salinas, the Greater Bay Area and the Monterey Peninsula.